Hi, I am not so familiar with circuit design. 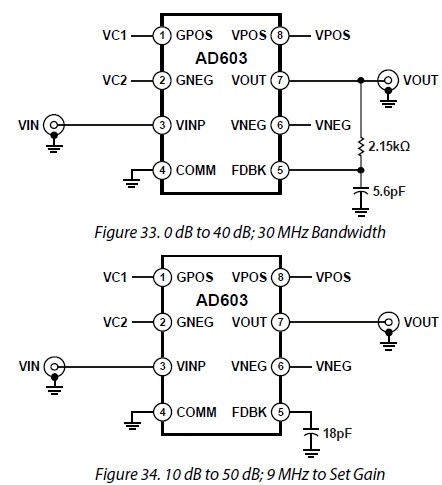 Now, we use a variable gain amplifier, AD603, and we found the page 14 in the spec. When the BW is varied, the value of capacitor connected to the FDBK pin is different. Do you know how the capacitor value to be determined? What's the purpose for this capacitor? As I know, the BW should be relevant with only the feedback resistor or it's relevant with this capacitor as well? Our PCB is about to gerber out so we need to confirm this question.